Thank you for visiting this site. The many people who are impacted by CFLs, their flicker, and their emissions, appreciate the fact that you are informing yourself on these issues. There are critical health and safety issues as you will see in the videos below and under the “Videos” tab, above. To many, with an array of maladies, the right to light is a critical issue. The quality of the light impacts their quality of life. 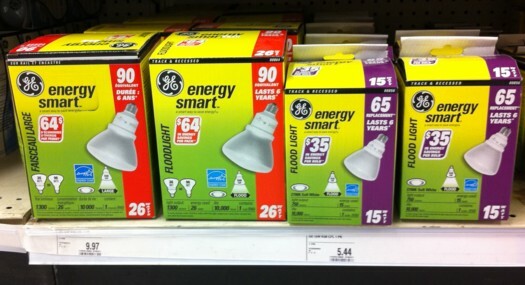 As CFLs are being replaced by other forms of lighting, the hidden danger of CFLs may become the toxic waste of our time. When people dispose of CFLs in their household trash, they are unwittingly adding to another universal environmental disaster. The Canadian water quality guidelines (see below) state that one CFL, if it contains only the stated amount of mercury, could contaminate 190,000 litres of water beyond the level considered safe for drinking. Are your CFLs going into the waste stream from your household? This is excellent news for all of the people who are impacted by CFLs and their deleterious emissions. Now, GE, how are you going to reclaim all of the mercury from the waste stream? In the Havas & Hutchinson Paper, they state that the mercury contained in one CFL “could contaminate 190,000 litres of water to levels that exceed the Canadian Water Quality Guidelines…..we are setting ourselves up for a mercury time bomb”. Bloomberg.com, in a story dated 1 February 2016, stated that GE will stop producing CFLs, in 2016, in favor of the “more advanced” LEDs. GE, what have you done to our Nation? Your CFL bulbs are going into the waste stream. Do you have the corporate conscience to deal with an impending health disaster of your making? NEUROLOGICAL: Migraines, Epilepsy, Autism, Dizziness/Vestibular Problems, Seizures, Nausea, Cardiac Arrhythmias, Tremors, Anxiety/Panic Attacks, Fatigue, Head Pain, Acquired Brain Injury, ADHD, Scotopsia, Electromagnetic Field Sensitivity, Depression, CFS/Myalgic Encephalopathy, Photosensitivity (Critical Flicker Frequency). DERMATOLOGICAL: Lupus, Photosensitivity (medications), UV burns. Thank you, also, to Michigan Heart, in Ann Arbor, for removing the CFLs in their reception area. The people at the Reception Desk complained of migraines. When the CFLs were removed, the migraines were no longer a problem. Dr. Owen Z. Perlman, a nationally-recognized Physiatrist, has stated that he is confident that more people are impacted by CFLs than are in wheelchairs – but they have yet to connect the fact that they feel less well with the fact that they have been exposed to the deleterious emissions of CFLs. This is also borne out by the research of Dr. Magda Havas (see her papers, listed under the “Studies” tab, and the videos, below) and her empirical observation of an oriental restaurant (which is CFL-equipped) having a diminution in the customers frequenting their establishment. Please check the “Safe Places to Dine” (in the right-hand column) for many more places. And, please, do send in the “Safe Places to Dine” in your area. A recently discovered “Super-Star” – Fiesta Ranchera, 1675 E. U.S.223, Adrian, MI. Thank you for having Safe Lighting as well as superb Mexican Food. Their Tamales are the very best ever – and huge, also. The Nachos Mexicana are an unusual treat, with their very own white cheese sauce. Ann Arbor, MI has always been known for fun places. The TEXAS ROADHOUSE, at 3133 Ann Arbor-Saline Road is an addition to the list – and they have safe lighting. Thank you for bringing your good, American food to Ann Arbor. Also, in Adrian, Mi, there are two recent additions to the list. Be sure to check out JIMMY JOHN’S at 1502 W Maumee St, and the brand new Taco Bell at 1106 N. Main. Congratulations on your informed choice of Safe Lighting. If you own or operate a place of public accommodation which has “safe” (non-CFL) lighting, please send a comment with the name and location of your establishment. This website is the place where you will get the credit which you so rightly deserve for your consideration and concern for the health and safety of your customer base. Thank You for caring, and Congratulations to Evans Street Station, in Tecumseh, MI. Welcome to the growing list of “Safe Places to Dine” In addition to providing a “safe” environment for the many who are so seriously impacted by the multiple deleterious emissions from CFL’s, their management also offers an exquisite dining experience, and delightful ambiance…..right in “downtown” Tecumseh, Michigan. Thank You to Danley’s Country House, also in Tecumseh, MI. A warm “Welcome” to the list of Safe Places. If you wish, you may enjoy an excellent selection of twelve Craft Beers. Thank you for making your family-friendly place available to the many with “hidden disabilities”. Congratulations to Bob Evans Restaurants, the home of The Rise & Shine Breakfast. Bob Evans Restaurants in Holland, OH, Dundee, MI, Adrian, MI, Ann Arbor, MI, and Bowling Green, OH proudly have Safe Dining establishments, with safe lighting, in which to enjoy their hearty country-style meals. Their managers informed us that Bob Evans has gone to lighting which is safe for the many folks who are impacted by the deleterious emissions and flicker of CFLs. (And, the meals were superb). A special “Thank You” to Burger King on N. Main, in Adrian, MI. Your new exterior LED lighting is much appreciated. Thank you for caring. Kudos to the management of Burger King, for their sensitivity to and awareness of these issues. In addition to the superior quality of their menu offerings, their concern for the health and safety of their patrons is commendable. Burger King management, please note that a number of your Greater Chicago area establishments do have CFLs. Please do take a clue from your Ohio and Michigan counterparts and convert to “Safe” lighting. Burger King’s leading competitor, however, has yet to recognize the issue and continues to populate their newly-remodeled stores with CFLs. One can only wonder how many CFLs have been broken in those establishments and whether they have closed those stores while they cleaned up the toxic mercury wastes and destroyed the foodstuffs which were contaminated by the mercury. (Their latest letter refuses to recognize that a problem even exists). This fits with Dr. Havas’ observation which is mentioned below. Also, we have been informed by Consumers Energy that they are no longer promoting CFLs, but rather are giving LED bulbs to restaurants. It is hoped that this is being implemented. (Now they have to determine how best to “round up” the toxic bulbs which they have sent home with unsuspecting school children). The administration of the Linden (Michigan) Community Schools needs a reality check. With all of the snow days they have accumulated in the winter of 2013-2014 they made a decision to have an Energy Assembly, on Friday, 4 April 2014 — the last day before Spring Break. 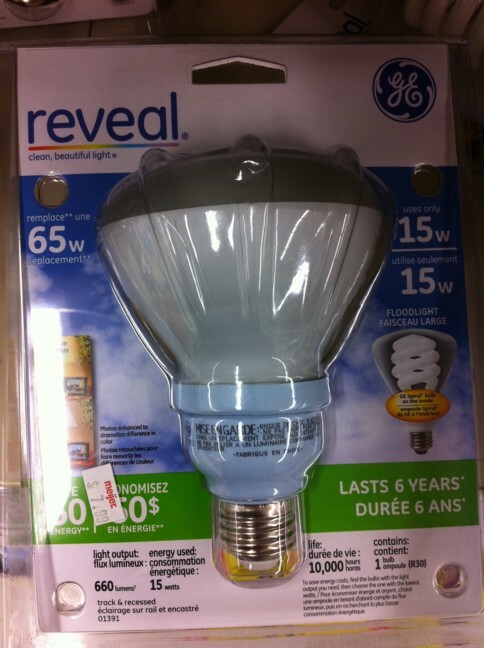 Not only did they deprive children of an opportunity to make up for lost time in the three R’s, they also sent home toxic CFLs with innocent fourth and fifth grade students. If your child brought these CFL bulbs home, you might want to consider calling the school district and asking that they come out and pick up the toxin-laden bulbs, so that you are not left with the responsibility of properly disposing of them. By offering LED bulbs instead of the dangerous, harmful CFLs, it appeared that Consumers Energy (in Michigan) had taken a step forward in corporate responsibility and recognition of the deleterious effects of the impact of CFLs on so many people with hidden disabilities. 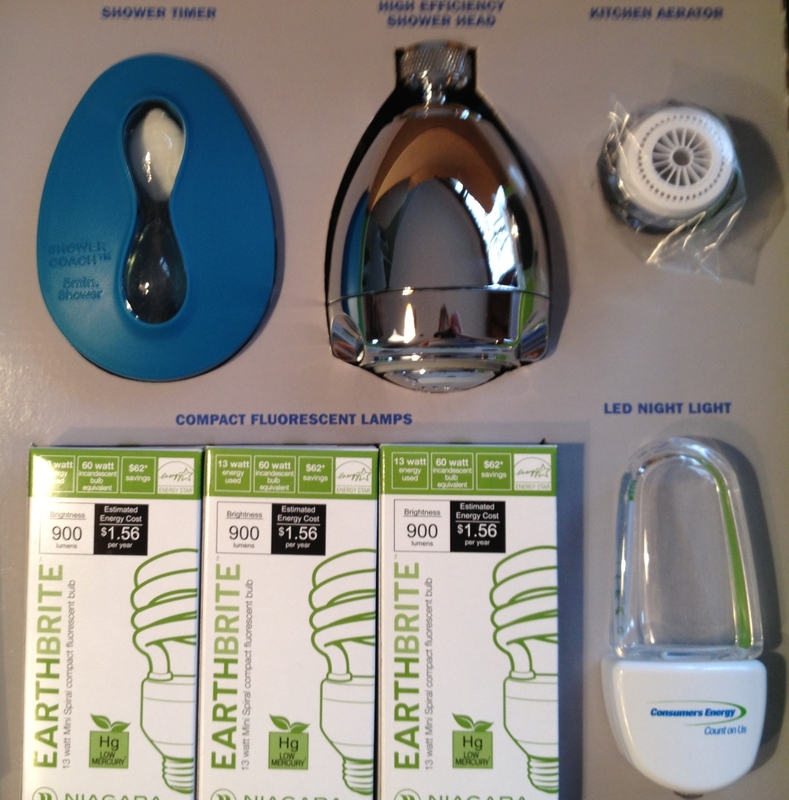 Now, if they would only discontinue the practice of sending out “kits”, which contain toxic CFLs, to schools. Someone, please, wake up Consumers’ management and wake up the (Michigan) State Board of Education for allowing this practice. Back in March 2013, we had this comment “Consumers Energy (Michigan) is using children and teachers to promote CFLs. The Michigan Department of Education is a co-sponsor. Elementary school children are being sent home with an “energy saving” package which contains, among other things, toxin-laden CFL bulbs. Consumers Energy is shamelessly using children, and rewarding their teachers, to “push” a product which is harmful to many with a wide array of maladies/injuries. This was reported by another Mom who cares about her family’s health. 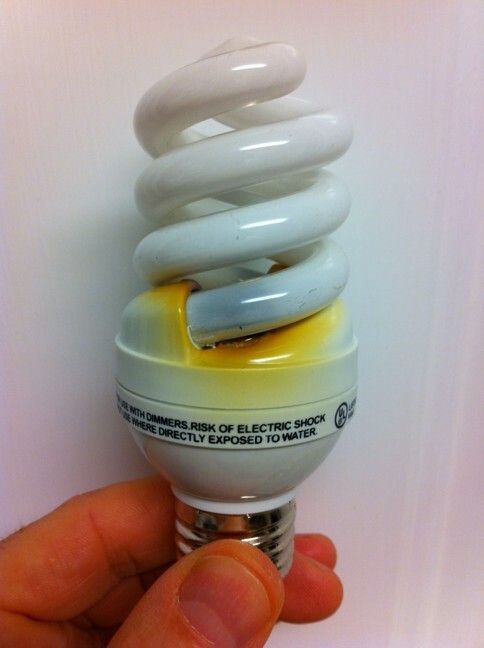 Who will take responsibility when a child drops one of these CFLs and contaminates their home? Who will pay for the cleanup of the toxic mercury? Is this the education which children need to succeed in life? Or are the kids simply pawns of an over-zealous school district and public utility?” Now, in April 2014, this is happening again, only in the Linden (Michigan) Community Schools. Are their teachers being “rewarded”, as was earlier reported that they were in the Jackson East School District? Please review the article on Consumers Energy (Michigan) using children and teachers to promote CFLs. The Michigan Department of Education is a co-sponsor. Are they teaching CFLs or the three Rs? Children are being used to push a product which is harmful to many with a wide array of maladies/injuries. This was reported by a Mom who cares about her family’s health. (Please see link under Recent Articles). It seems that the school districts involved need to evaluate their priorities. The three R’s are what children need to succeed — do away with the light bulb “guilt trip” put on the children and settle down to genuine education. Businesses frequently tell us that Consumers Energy people are pushing them to convert to CFLs. Do you want your business subjected to that kind of liability, when the mercury vapor spews out, or when people are injured by UV, RFI, or EMI? Several restaurants, who have refused to accept the CFLs, tell us that Consumers Energy has provided LED bulbs instead. (For many folks, LEDs are a safer alternative). What restaurant will destroy their entire inventory of foodstuffs when a CFL is broken or burns out? Please see the photo of a burned CFL from a home in Louisville. When will insurers refuse to cover the liability incurred by businesses who subject their patrons to the deleterious impacts of CFLs? Folks in Washington seem inclined to frame the incandescent “ban” as a political issue. But to the many with hidden disabilities, it not only impacts their health in very serious ways, as you can see in the articles and Videos below, but it also severely restricts their access to public buildings and places of public accommodation. To many with an array of maladies, the right to light is a critical issue. 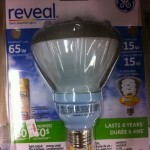 If you haven’t checked lately, the price on a CFL 100-watt equivalent is just $6.77 ($20.32 for a pack of three). 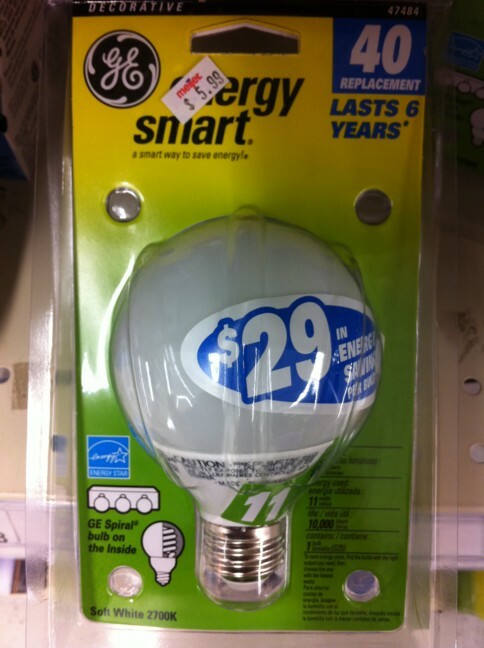 And BTW the last of the 100-watt incandescent bulbs on the shelves are going for 25¢ ($1.00 for a pack of four). 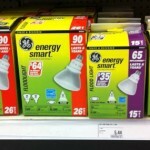 Why the high price on CFLs? Because they can! (They did it in Europe last year.) 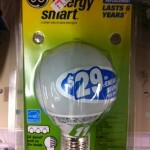 But, you are not charged extra for the toxic poison in the CFLs. But if you dispose of them properly, you will pay dearly. And if you don’t, you will pay even more dearly — down the road when the Hg contaminates our water resources. How much it is worth to buy something that pollutes the planet and impacts people with hidden disabilities? Go slow with CFLs. Get all of the facts first. Dr. Magda Havas was interviewed by John McCulloch, on WJR – Radio 760, on Tuesday, 25 October, on the Frank Beckmann Show. To hear this superb interview, just click on the link, above. (Please click on the image to enlarge). The ballast, at the base of the bulb, is a clue. For the devastating effects of CFLs on the Central Nervous System, please do scroll down and watch the first video. Thank you to Rep. Joe Barton (R-Tx) for working so diligently for the many who have medical problems with CFLs. Thank you, also, to Rep. Michael Burgess (R-Tx) for introducing the amendment and also Rep. Tim Walberg (R-Mi) and all of the Representatives who voted for HR 2354. It is great to see people of conviction act courageously in the face of mis-information put out by the groups who have exported U.S. jobs to China. HR 2417 passed the House. It is the Energy & Water Development Appropriations Bill of 2012. As of November 10, 2011 it is “hanging out” in the Senate. It appears that the Senate wont consider it until the end of the year, and then be subject to negotiation. The voters should show the Senate what is really going on with CFLs and the impact of them. If you are one of the many who are concerned , please communicate with Senators and their staffers. Interesting reading. The American public is tired of the government continuing to perpetuate a bi-partisan blunder which has cost us (the U. S.) even more jobs. Hopefully, the Senate and the President will correct this before the unintended consequences of their predecessors’ ill-conceived actions have even more devastating medical, economic, and environmental impacts. There is an empty argument, by the CFL industry and their media sycophants, that this is not a ban. But, in fact, it is exactly that and effectively mandates CFLs — thereby exporting U.S. jobs to China while endangering people with medical issues. As mentioned above, the Canadian government, our good neighbor to the North, has rolled back their incandescent ban, to give scientists time to study the deleterious effects of CFLs and their impact upon the lives of so many people. 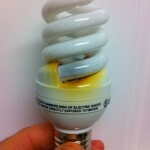 For a frightening photo, please see “A burned (out) CFL” (post to the right). Owners or operators of Medical Facilities and other Places of Public Accommodation, should consider their policy on lighting, particularly in the context of the statement by Owen Z. Perlman, M.D., a prominent Physiatrist affiliated with Associates in Physical Medicine and Rehabilitation. He is confident that there are more people impacted by exposure to CFLs than are in wheelchairs. As you can see, on the right, Dr. Pelman has been named One of the Best Doctors in America. How can a place of public accommodation afford this risk? Do you want to patronize such a place? Health concerns trump politics, or should. Hopefully, common sense will cross political boundaries and result in the reversal of the ban on incandescent bulbs which has resulted in the de facto CFL mandate. Thank you to Congressman Joe Barton, from Texas, for his continuing support in this noble cause. Under the “Studies” tab you will find a sampling of the many medical studies on the deleterious effects of CFLs, including RFI, EMI, Dirty Electricity, and Critical Flicker Frequency. Some of these have been recognized for over thirty years. Under the “Recent Articles” tab, to the right, please take a moment to read about the CFL which burst into flames. It is from an email which was received the morning of 19 October 2010. A while back, we received a report of a similar incident at a restaurant on St. Joseph Island in Northern Ontario. Even if you don’t have health issues with them, this ought to cause one to re-evaluate the use of CFLs. Under the POSTS pull-down, you will find a recent email from Dr. Magda Havas. This features an illustration which explains “Dirty Electricity”. While this site is definitely apolitical, the issue of the incandescent ban is (finally) meeting political as well as medical resistance. The article “The Light Bulb Switchover: In The Dark”, which can be accessed from the right column, is important to everyone with medical issues. Health concerns trump politics, or should. The three sponsors of H.R. 6144 are Rep. Joe Barton, Rep. Michael Burgess M.D., and Rep. Marsha Blackburn. Hopefully, common sense will cross political boundaries and result in the reversal of the ban on incandescent bulbs which has resulted in the de facto CFL mandate. In this political season, your encouragement to the sponsors and supporters of this bill could make a difference. It is interesting to note that one of the sponsors is a Medical Doctor. The Conservator of Art, at a major Midwestern University, recently pointed out that museums should not be using CFLs as the UV is damaging to the works of art. This being understood, why would anyone ignore the fact that the UV emitted by CFL bulbs would also be damaging to the eyes of humans and household pets, as UV-blocker glasses are not usually worn in our homes or offices? Where is the EPA whose job it is to protect us? The fourth Video, on this Home page, is of particular interest to folks with migraine issues. It has a segment in which Lawrence C. Newman, M.D., a New York neurologist, discusses his experiences concerning the relationship between CFLs and migraines. You may find the EPA Instructions on CFL Cleanup to be enlightening, under the Recent Articles tab to the right. Owners of places of public accommodation may find that paper to be somewhat frightening in terms of their potential liability to their patrons. Imagine what the mercury contained in a CFL would do to the food supply of a restaurant. Should the restaurant be evacuated so that the patrons do not get a dose of this toxic material? If you read the E.P.A. “recommendations”, that is what the prudent proprietor would do. One would hope that business people would be concerned about the risk of having a Hazardous Waste cleanup problem should a CFL be broken as well as the potential for further injury to folks who have an Acquired Brain Injury, epilepsy, seizures, etc. (the “Medical” page enumerates some of the maladies). Traumatic Brain Injury survivors may find interesting information in Dr. Glen Johnson’s study, in the “Links” to the right. TBI folks may have yet to relate the cause and effect. They just know that they do not feel “right”. On the topic of Traumatic Brain Injury, Jan Hansen, Ph. D., a neuropsychologist, documented her personal observation, of the impact of exposure to CFLs, which was experienced by one of her TBI-survivor patients. It is posted under “Recent Articles” just to the right on this page. It is an excellent, detailed report of an extremely serious unintended, inadvertent encounter with CFLs. You will be amazed at the severity of the incident. Also, since Acquired Brain Injury is frequently associated with medical issues caused/exacerbated by CFLs, it would be reasonable to expect that returning heroes, with IED injuries, may well experience these problems, but have yet to associate the cause and effect. If you know one, you may want to bring this to their attention. The Irlen Institute is studying this issue. In short, the indiscriminate use of CFLs could pose a serious liability issue for merchants who choose to use CFLs, particularly since the alternative is available in the form of LED lights, which do not have the deleterious effects. If you have experiences you wish to share or “Safe” places of public accommodation which you would like to list, please drop us a line or a post. A new feature is the Hall of Shame , a list of UNSAFE Places which use CFLs thereby causing serious health problems. You may be amazed that two hospitals head up that list. As you find places that should be on that list, please send in a comment or email. Thankfully, our good Canadian neighbors are much more engaged with the CFL issues than academics and the mainstream (???) media in the States. Dr. Magda Havas, of Trent University, Allison Vuchnich of 16X9 Global Television, and others are doing a superb job of researching CFLs and the consequences of the “explosion” of their use. They are working to get Health Canada to investigate theses issues. In Switzerland, Allison Vuchnich found that researchers there have determined that the standards for spurious emissions may not be sufficient to protect us from the harm of CFLs. Check out this Video. Allison Vuchnich’s 16×9 Video on the impact of CFLs on the Central Nervous System.